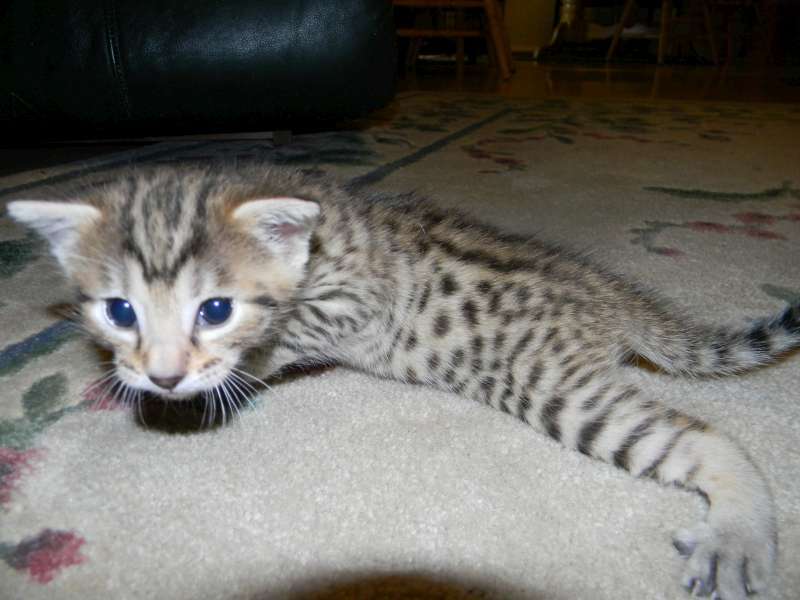 This beautiful little Egyptian Mau boy is going to live with Jean and Scott in North Carolina. 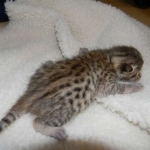 Spectularly spotted this little bronze kitten is exceptional. 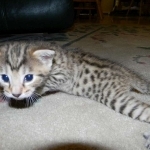 This beautiful little bronze Egyptian Mau boy has spectacular spots! 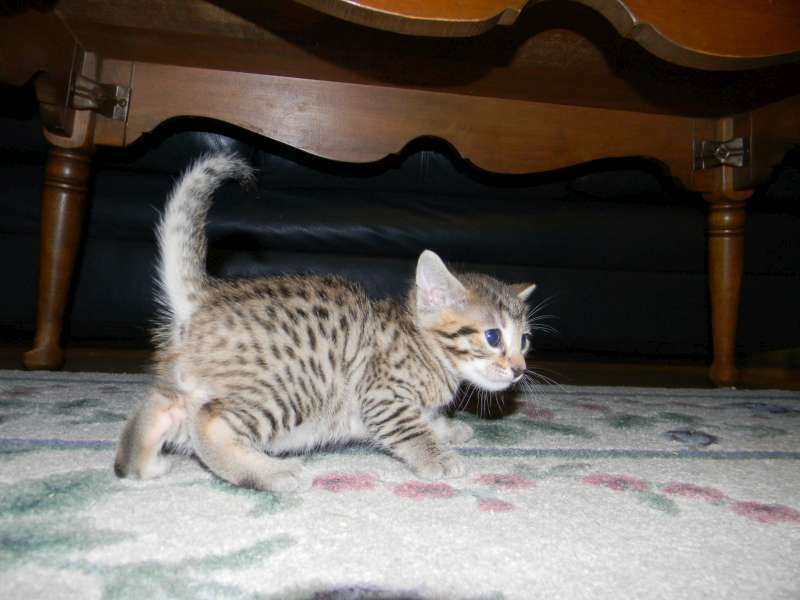 As pretty a bronze egyptian mau kitten as you could find, Dabo is also a brave little soldier exploring everything. 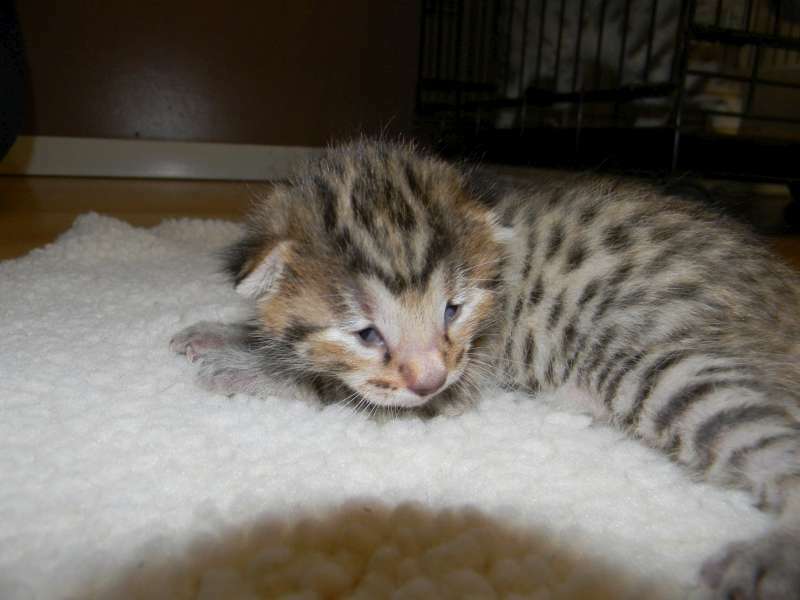 Just opening his eyes this little bronze Egyptian Mau guy has a whole world to explore! 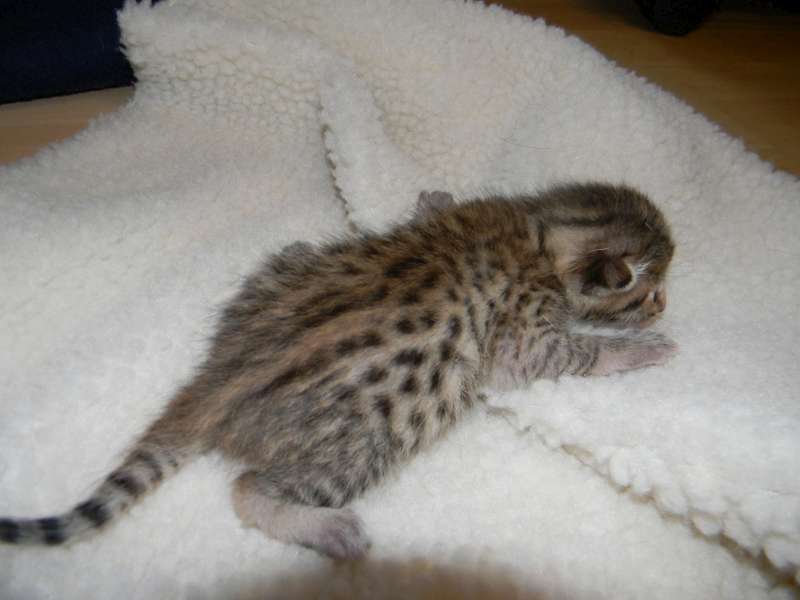 Just starting to get around little Dabo is kind of a chunk so getting his tummy off the floor is rough! 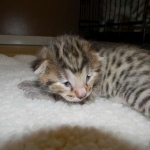 Dabo is getting around faster and he and his brother Victor are cruising for trouble now!